When you ask Cody Evans why he wanted to join the military, his answer is simple: to help others and serve his country. He enlisted in the U.S. Marines in 2009 and deployed to Afghanistan in 2011. While on patrol a few weeks before Christmas, Cody encountered a bomb blast and lost both of his legs. It took nearly a year of recovery before he was ready to return to his Tennessee home. However, his home was no longer suited to fit his needs. Major modifications were needed just for Cody to get through the front door. 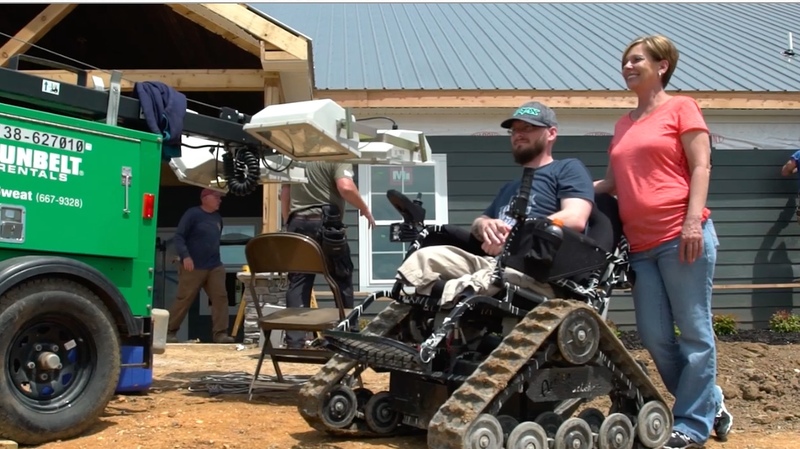 That’s when Cody’s community, nonprofit organization A Soldier’s Journey Home and Team Depot stepped in to help, building Cody a brand new, specially-adapted home in just one week.